From our September bookshop run – where we hit the high street and look for books covering our curriculum areas and boost our progression collection – we’ve added some new books on mindfulness. What is mindfulness? It’s a technique based on meditation from Buddhism, Hinduism, Taoism and Christianity that keeps you in the present moment and gets you to push aside negative thoughts and anxieties about the past and the future. It promotes wellbeing in your mind and in your body. Being mindful is about scanning your mind and body to check out how you are feeling and how you are breathing. Once you’ve done your barometer health check then you can put into action ways of getting your mind and body on an even keel. They’ll explain what mindfulness is, its origins and equip you with the techniques to practise on a daily basis. The Rough Guides book comes with a free set of downloads to assist you with meditations. To find out more about mindfulness take a look at the NHS Choices information on Mindfulness on Mind’s website. 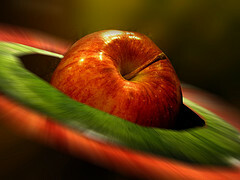 El Planeta Apple by Jorge Elias is licensed under CC-BY-2.0. This week Pre-Access To Higher Education students have been putting forward working titles for their projects. Many are tackling current health and social issues. The research process has lots of steps. Some steps might not even seem like steps at all because they all overlap and you may go back and forth between them. One ‘step’ in starting a project is scouting out possible information sources for up-to-date numbers and research to spark ideas. Getting a feel for what information is out there will also help you narrow your topic down to something manageable. It is also perfectly normal to feel anxious about the amount of information out there. Don’t worry yet about analysing your information sources – they exist, and you can access them if you need them, that is what is important to start with. Social science librarians have compiled a list of free data sources. This includes neighbourhood statistics for local authorities such as for housing, crime, employment. You can search The Guardian newspaper online for articles such as these on health and wellbeing. Check out the VLE eresources page too for paid subscriptions to information sources. Of course we have lots of books such as subject encyclopaedias to start you off too. Come in to the LRC and browse. Next week our Access to Higher Education Humanities and Social Science and Access to Health and Human Sciences and Preaccess students finish their courses. Our Access to Higher Education students will be waiting to start university in the autumn term. If you are like them then Palgrave Study Skills website is useful in reducing those pre-university jitters before you begin a new course of study. The Palgrave Student Life area gives you advice on everything you need to know about study at university before it starts! Your First Weeks at University gives you a thorough grounding of what to expect when you begin student life – everything from halls of residence, to freshers’ week and socialising. Getting in the Study Mindset advises you on how to get yourself in the zone for studying. The Look After Your Wellbeing page gives you hints on eating, sleeping, dealing with stress and getting exercise. Its Common Challenges and Getting Help helps you overcome homesickness and nerves and boost your confidence. Their Essential Study Skills page gives you advice on drawing up a learning strategy, organising your time, reading and getting the most out of independent study whether you are going on to study at university or going to study at local college. If you’ve got some money in your pocket then you would do well to equip yourself with the Study Skills Handbook by Stella Cottrell which has more advice again. Why not invest £8.99 in the Palgrave Student Planner 2015-16 to get yourself ready for your studendom? Here at our Hillcroft College we frequently run courses with confidence building in them and our students tell us they want more of it. 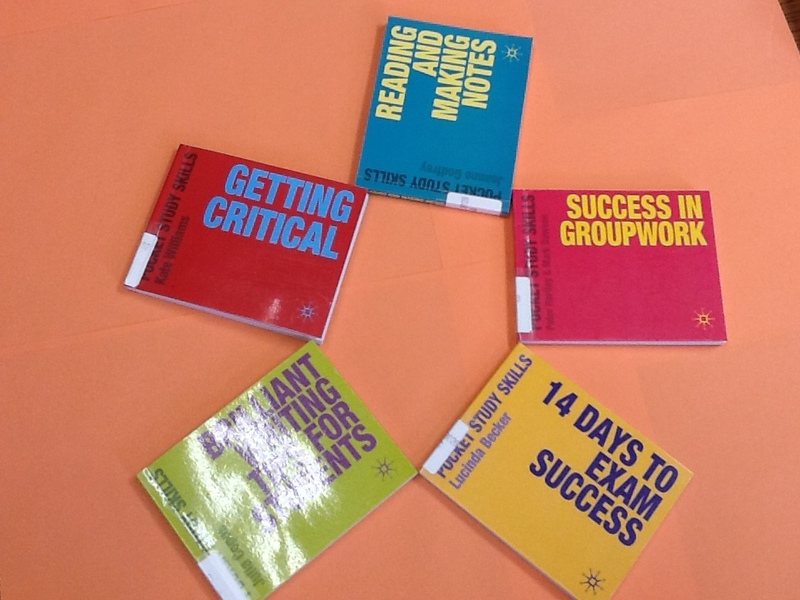 And they’d also like more self-help material in our Learning Resources Centre. Following their feedback we’ve been boosting up our material on confidence, positive thinking and overcoming anxiety and fear. 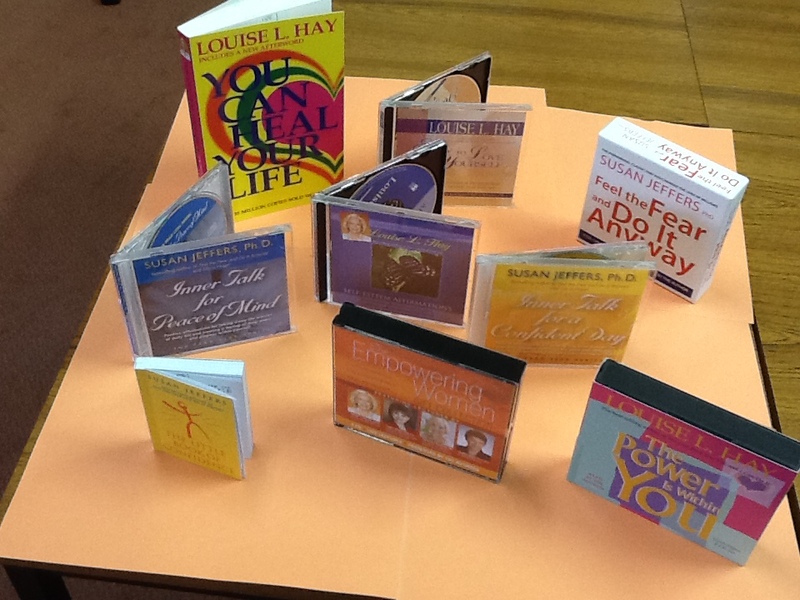 So here’s our pick of what we have so far – with material by Susan Jeffers and Louise L. Hay. We’ve got them in audio and print to suit our learners. They come with tips to help you think positively through mantras, meditation and positive visualisation. Susan Jeffers and Louise L. Hay both have inspiring websites to take you further on your journey with daily affirmations.